The APPLE study is a multicenter, clinical study aimed at pediatric patients with pancreatitis. The study protocol is suitable for tracking both newly diagnosed (APPLE-P, prospective study) and earlier episodes (APPLE-R, retrospective study) of pancreatitis. There is little information available on pediatric pancreatitis. The incidence of pediatric pancreatitis has increased in the last 10 years. According to our current knowledge, the occurance of genetic risk factors in pediatric pancreatitis could be significantly, even 10 times higher, than in adults. Also, we know that the role of alcohol is insignificant in etiology. Children having acute pancreatitis are probably going to have recurrent episodes, that eventually may lead to chronic pancreatitis. Except etiology, we have little information on the development of the disease and its effect on life quality. The early assessment of severity is crucial in the management of the disease. Current methods of risk stratification have a limited value, as they are difficult, mainly based on invasive measurement techniques and provide relatively little additional information, thus may delay appropriate management. There is a need for new clinical methods that help to improve the accuracy of early evaluation of severity in acute pancreatitis. We assume, with early recognition of severe disease, doctors will have more possibilities to intervene to prevent serious adverse events and improve the overall clinical outcome. You can help in getting to know the disease better by joining the APPLE-P and APPLE-R studies. Patients who had acute episode(s) earlier and are currently not in active stage can be involved in the APPLE-R study.It is important that the first pancreatitis episode should be before the age of 18 years.The study primarily provides information on possible genetic variants behind the disease and their impact on the prognosis. For those patients who did not have genetic analysis before, we do it for free in the frame of the study. Participating patients and doctors can access the results of the analysis upon request (following the XXI./2008. Law of the Parliament). 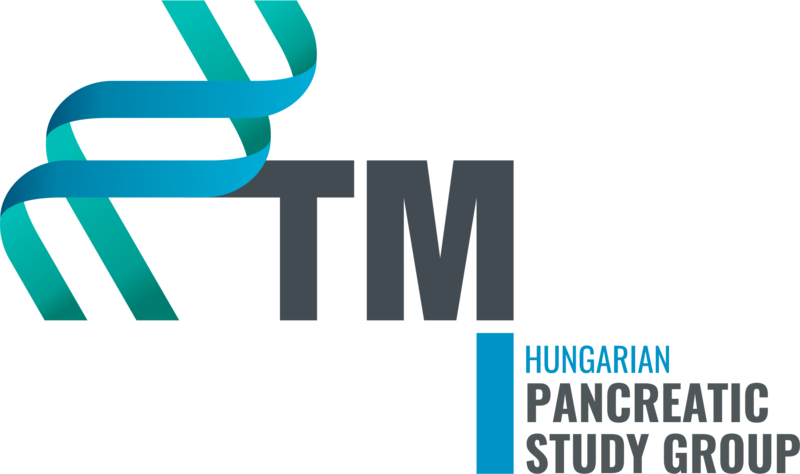 You can download the form from the www.pancreas.hu website. Newly diagnosed patients currently in active stage and under the age of 18 years can be involved in theAPPLE-P study.This study primarily aims to understand the development of the disease and to identify the early risk factors. Therefore, the detailed examination at the first appearance of the patient is crucial and cannot be made up for later. Please, have a thorough look at the questionnaire in advance so as to provide all the necessary data. In order to examine/question patients right after hospitalization, it is important to co-operate with your colleagues working at the EMERGENCY ADMISSIONS UNIT.